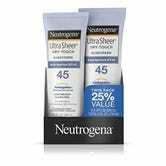 Neutrogena’s UltraSheer Dry-Touch Sunscreen dominated the best sunscreen voting, with more than 2000 of you giving it your nod of approval and numerous glowing recommendations in the comments. There is no perfect sunscreen, and the quality and quantity of the research on the list of potential ingredients in each product varies wildly. Knowing that, 2000 recommendations for a product from our readers is incredibly valuable. But there are of course lots of other sunscreens on the market. 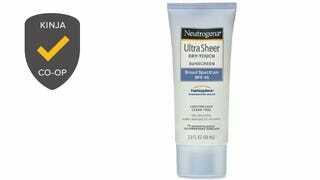 EWG, one of the best databases for researching the ingredients in cosmetics, has a great list of sunscreens they recommend. Of your top five nominations, La Roche-Posay and BullFrog made their list. My personal choice, EltaMD UV Pure also made their list. It’s sensitivity-free, fragrance-free, paraben-free, oil-free, dye-free, hormone-free, gluten-free, noncomedogenic, water-resistant, and contains zinc oxide and titanium dioxide. I wore it exclusively during recent trips to the Galapagos and Aruba, and it was both very effective and not at all greasy.